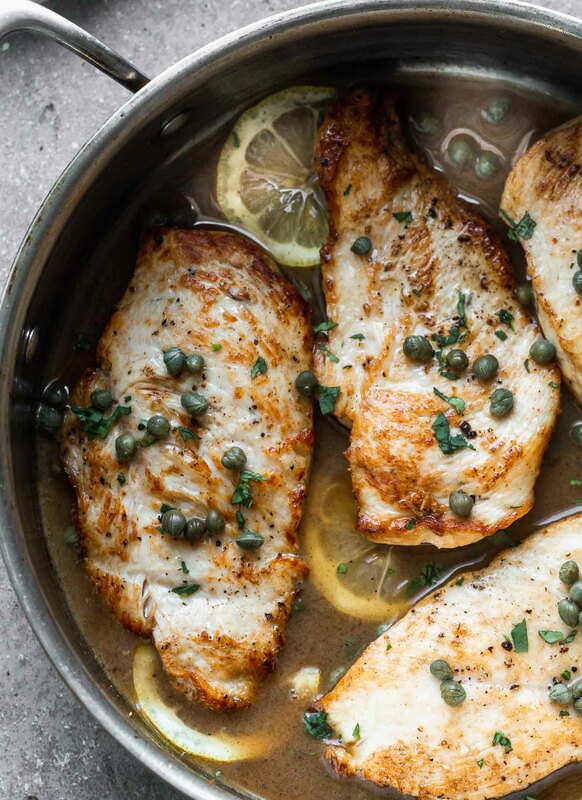 This Five Ingredient Chicken Piccata will quickly become your new favorite weeknight dinner! Thin chicken breasts are sautéed in butter until crusty and golden brown, then smothered in a zippy lemon and white wine butter sauce. 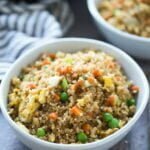 Easy, light and so delicious! 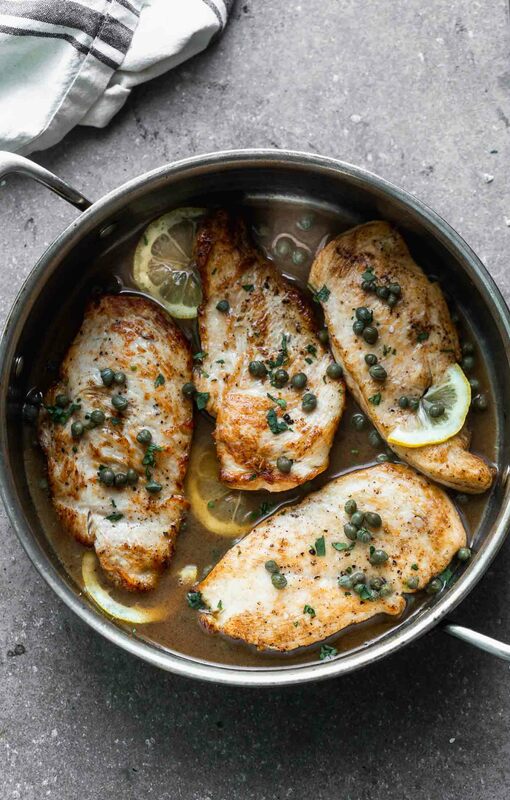 For more easy chicken dinners, be sure to check out this Crispy Chicken Piccata, this Chicken with Roasted Fennel and Apple Brandy Sauce, or this Creamy Lemon and Mushroom Chicken. There’s something about coming home after a long day of work, pulling out my cutting board, a knife, and a sauté pan that instantaneously starts to relax my million-miles-a-minute mind. Once I begin cooking, I’m completely at ease. I’m not thinking about the latest crisis at work. I’m not thinking about how I haven’t had a chance to maximize social media to its full potential. And I’m definitely not thinking about the laundry piling up at an alarming rate. Most nights I don’t care if it takes an hour to get dinner on the table, because I thoroughly enjoy the process. Kevin also prefers to eat later in the evening after he’s decompressed for a little while, so it works out well. On the occasion that I DO need to get dinner done in a flash, easy meals like this Five Ingredient Chicken Piccata can be a total life saver. Meals like this also help when you have to make dinner for your husband on your lunch break because you’ve scheduled two happy hour dates on consecutive nights, and you feel guilty leaving him to fend for himself. A friend once told me wife guilty is almost as bad as mom guilt, and I’d agree. 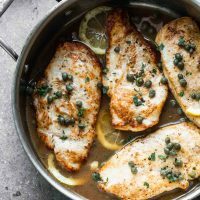 While chicken piccata isn’t necessarily something I’d normally think to share here since it’s my I’ve-got-nothing-in-the-pantry dinner, I’ve had several requests for slightly easier, lower ingredient recipes, and I’m happy to oblige. I think sometimes I forget the majority of the population doesn’t cook for a living. 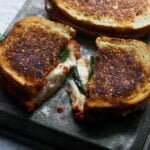 Oftentimes when the word easy and five ingredient get thrown around, it’s automatically assumed the recipe isn’t worthy of a more upscale dining experience, but that doesn’t have to be the case. 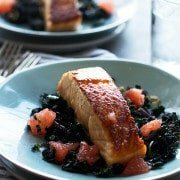 While humble in its ingredient list and preparation, this is totally worthy of your family dinner table any day of the week. And – in my opinion – refined enough to serve at a dinner party. 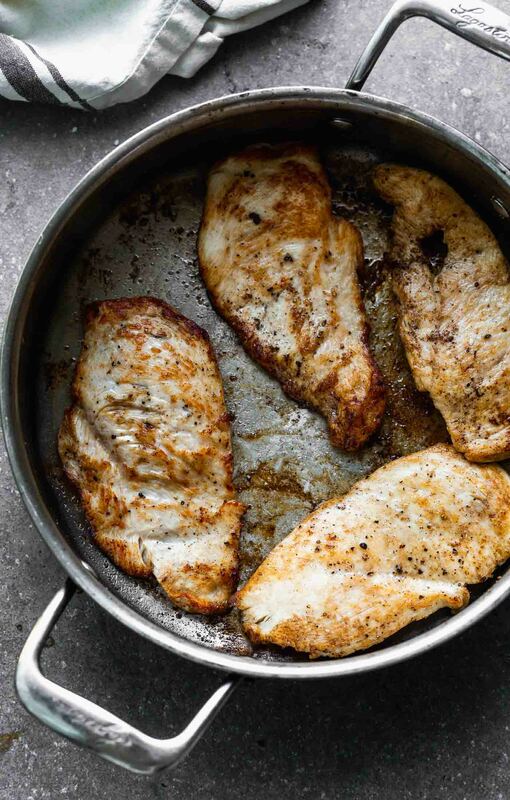 In this particular recipe, I like my chicken to be thin, so you can either buy two large breasts and split them down the middle, or flatten each breast out with a meat mallet or. A rolling pin and a ziplock baggie will also do the trick. Season each breast liberally with salt and pepper. Do not skip this step! Since there’s only five ingredients, each layer needs to be optimally seasoned. Next, add the butter to a hot pan. Once it’s melted, add the chicken and brown on both sides. While the pan is still hot, add the white wine. Scrape up the brown bits at the bottom of the pan. Let the wine reduce. Lemon juice is next! Simmer again. 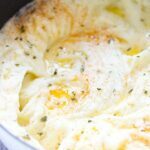 Whisk in the butter for a velvety finish. From start to finish, this comes together in about 20 painless minutes. Even better, there’s only one dish to clean. 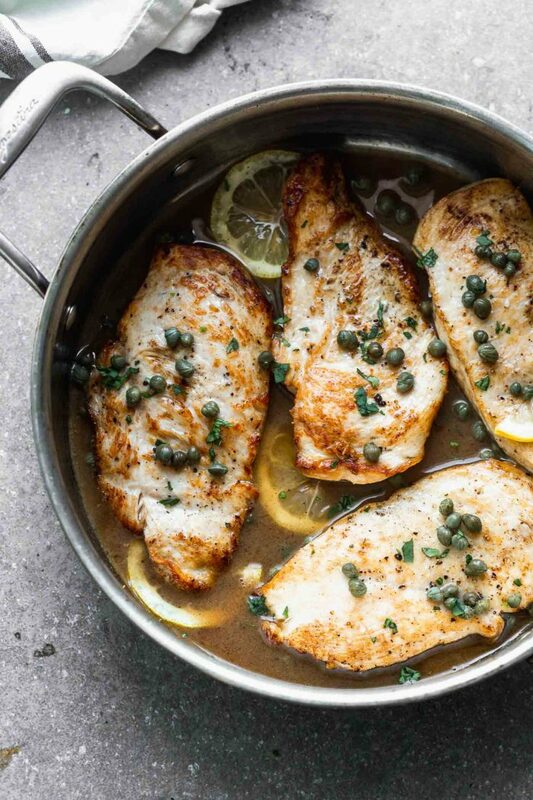 Five Ingredient Chicken Piccata will quickly become your new favorite weeknight dinner! Thin chicken breasts are sautéed in butter until crusty and golden brown, then smothered in a zippy lemon and white wine butter sauce. 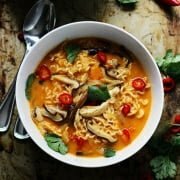 Easy, light and so delicious! Slightly pound out chicken breasts. Season liberally with salt and pepper. In a large saute pan, heat 2 tablespoons butter over a medium-high heat. Once butter has melted add chicken breasts, cook until golden brown on both sides, about two minutes per side. With the heat on medium, add in white wine, scraping up brown bits on the bottom of the pan. Simmer until reduced by half. Add lemon juice, simmer another minute. Turn the heat down to low and whisk in butter 1/2 tablespoons at a time. Add chicken back into sauce and simmer a minute or two. 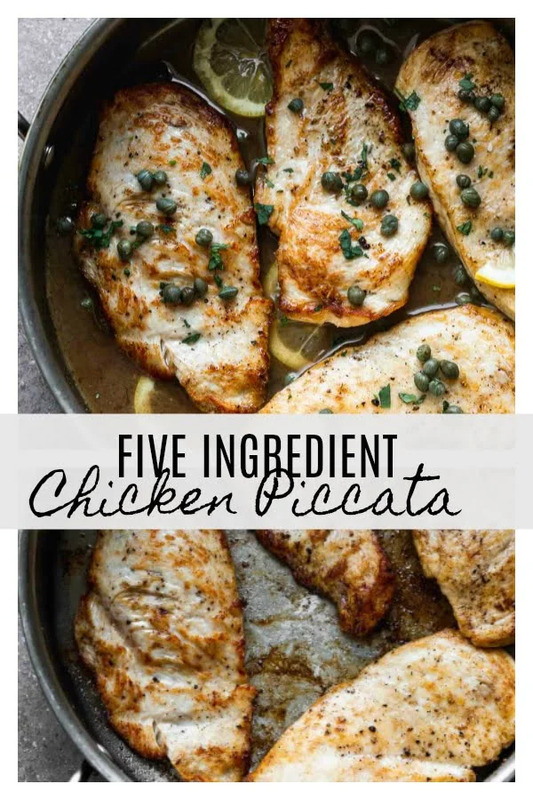 19 Responses to "Five Ingredient Chicken Piccata"
I’m the same way – cooking relaxes me so much that most days I don’t mind spending time in the kitchen after working all day. It makes the whole day better! 🙂 This looks delicious lady! Have a fantastic weekend! The simplest recipes can truly be the best sometimes, because the flavors shine. This looks just right as is! This sounds so simple yet so delicious! I’m going to have to give it a go one night this week! Oh yes. Cooking is such a stress reliever for me! This looks and sounds heavenly! Love the simplicity! This looks perfect! 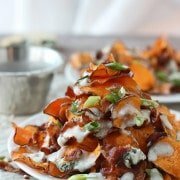 Pinned for dinner tomorrow – yum! I take it up one more notch and add a can of quartered artichoke hearts (drained well) oh my, give it a try. Love it! I’ll have to try that! This was excellent, and tasted very close to how my favorite restaurant makes chicken piccata. The only change I made was to toss the chicken in a little flour after seasoning. This is definitely going into the regular rotation! Awesome!!! So glad you liked it Adam!! This looks a completely new chicken recipe for me. Hope it will be yummy and delicious. Can’t wait to take the taste soon.